San Francisco Giants and New York Yankees could benefit from trading Jacoby Ellsbury and Johnny Cueto this offseason, per Buster Olney. Cueto is recovering from Tommy John surgery with three years remaining on his contract. Ellsbury did not play in 2018, is unwanted at Yankee Stadium and has two years (with a $5 million buyout for the third year). Cueto is owed a minimum of just under $71 million, Ellsbury is owed a minimum of $47 million, though he has a no-trade clause. Flipping the veteran outfielder to the Bay has been murmured before, and it is probable he would accept a trade to somewhere that would give him plate appearances. San Francisco are embarking on a rebuild which could take several years. Cueto’s contract is not great, but it is not even the worst on their roster – that honour goes to Mark Melancon. Madison Bumgarner is a free agent at season’s end and will likely be traded before the July deadline. The outfield is short on experience at the moment, but that’s okay. 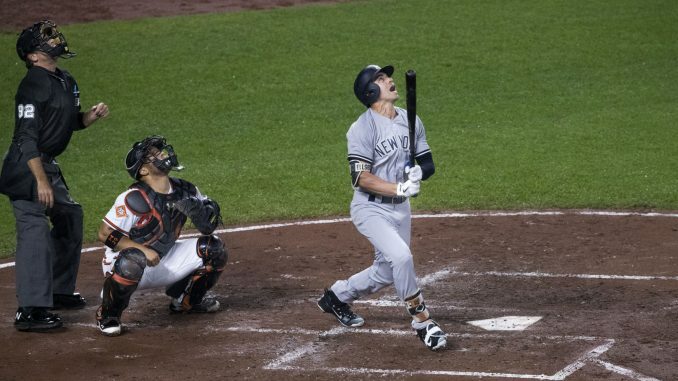 Giving plate appearances to Ellsbury will not help the Giants’ next competitive team. Steven Duggar, Mac Williamson, Chris Shaw and Austin Slater could be serviceable Major Leaguers in 2021 and beyond, when the Giants’ roster will look very different. The extra year on Cueto’s deal might make Farhan Zaidi, San Francisco’s general manager, want to escape it. The right-hander is an unknown coming off the surgery. He was superb before injury in 2018, though, boasting a 1.11 WHIP and 3.23 ERA. Cueto was an ace as recently as 2016, finishing sixth in National League Cy Young voting as he pitched 219.2 innings for a 2.79 ERA. Retaining Cueto is a risk of sorts, but it is not unreasonable to expect him to contribute post-surgery. He might not be the innings-eater of years past, but there’s every chance he is of use to the Giants as they rebuild. If he returns to his previous self, he could even return prospects if traded in 2020. Ellsbury is an unknown coming off injury too, of course. He does not have the same upside as Cueto. In 2017, he was just above a league average hitter (101 wRC+), the two years before he was well below (90 wRC+ and 83 wRC+ respectively). Ellsbury was okay defensively in 2017 – again, we do not if he will be able to cope with the enormous Oracle Park outfield after his injury issues. If the Giants are lucky, they get an average outfielder in Ellsbury. The cash that would be freed up by a swap of the two players is the only benefit for San Francisco mid-rebuild. 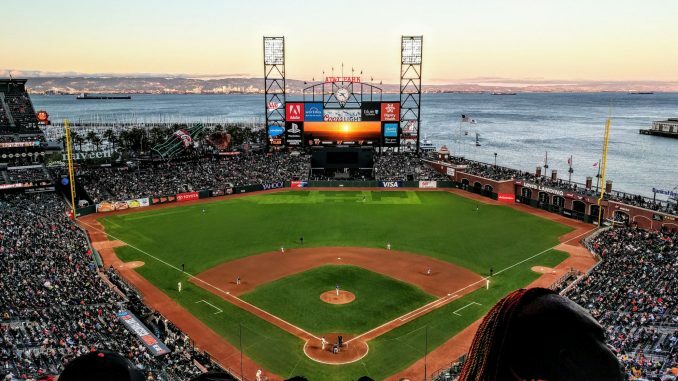 Having that money in the 2020/21 offseason might be useful if the Giants opt to pursue free agents, but the Giants front office and ownership have not been desperate to shed payroll like some franchises. If payroll was the concern, San Francisco would be attaching prospects to shift Evan Longoria, Melancon and maybe even Jeff Samardzija. Losing a potential asset in Cueto to take on dead money (while blocking young players) in Ellsbury would not be beneficial. The Giants’ farm is still thin, they would surely want prospects if they are to take on Ellsbury’s contract, even if they escaped the potentially ugly age-34 and age-35 seasons of Cueto’s deal. Clint Frazier and a young pitcher, perhaps Trevor Stephan, might make it worth considering for Zaidi. Otherwise, the Giants are better sticking with what they have. Sam is a widely published freelance writer, covering basketball, baseball and a range of other sports. He's still trying to decide if he prefers a rundown shot block or a smooth double play. What would be a successful offseason for the New York Knicks?